Smarty Pants® reveals their annual study of brands that kids and parents love most and why. 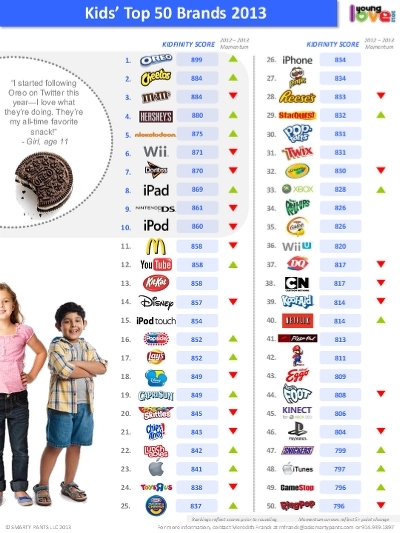 Brands ranked by their kidfinity score, a proprietary measure of kid and tween brand awareness, popularity and love. Conducted online over 4,700 kids and parents. Young Love examines more than 270 consumer brands across 20 categories.